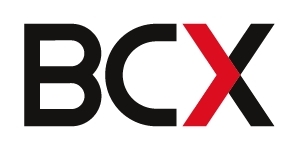 In association with Sunday Times Top 100 Companies, futured by BCX, SA’s biggest board meeting, The Directors Event will convene on 28 June 2019. For the fifth year, SA leaders from all spheres will tackle the country’s most pressing issues through hard-hitting roundtable discussions moderated by leading media personalities. With 2019 being South Africa’s general election year, it is an especially exciting time to be exploring policies, possibilities, and joint visions and ventures that are geared towards propelling us into a rewarding and sustainable future for all. The time for collaboration and frank discussion between South Africa’s most influential leaders in business, government and civil society has never been as pressing in order to chart a new path for the country, asserted Nicolaas Kruger, CEO of MMI Holdings at the inaugural The Directors Event. Held in association with the Sunday Times Top 100 Companies Award, MMI Holdings, the Institute of Directors and Mancosa Graduate School of Business, The Directors Event attracted influential leaders from all spheres of society. 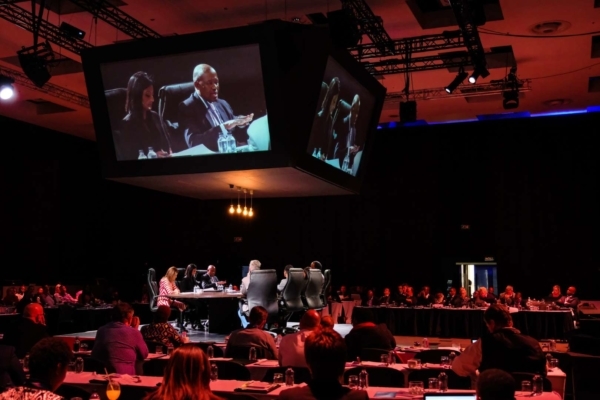 The event, which took place in Sandton on Tuesday, 23 June 2015, has been pegged as South Africa’s biggest board meeting. Certainly the calibre of panellists met board member criteria. According to Kruger, South Africa needs faster growth and to become a more equitable society. “To achieve this requires mobilising all our resources, visionary and values-based leadership, policy certainty, a positive attitude and greater collaboration both locally, regionally and internationally,” he said. Dr Reuel Khoza, former chairman and non-executive director of Nedbank, then addressed delegates on the important role of the chairman and the chairman’s report. Chairman, he said, don’t operate in a vacuum, but in context, as do their organisations. They need to be vision led, purpose driven and harbingers of the future – destiny is not a matter of chance, it’s a matter of choice. The role of the chairman, he stated, was to identify, reflect and report on corporate performance. “The chairman is the ultimate corporate flag bearer,” he said. Today’s chairs face a plethora of challenges: they’re expected to have an in-depth knowledge of the company and the markets in which they compete; they should draw on their own experiences and insights to guide management teams; and even though ultimate executive control lies with the CEO, he or she has ultimate responsibility for the direction and performance of the corporation. An engaged chairman should enhance the organisation and have the ability to establish a productive board atmosphere. He or she, added Khoza, is the custodian of the corporation’s moral compass and as such, can’t afford to ignore corrosive forces. The event was broken up into four ‘meetings’ each focusing on different issues: governance, accountability and reputation management; leadership and talent management; infrastructure development; and economy and entrepreneurship. The first panel discussion examined our adherence – or lack thereof – to the principles of accountability in both the public and private sector and how failure impacts reputation. The panel consisted of Public Protector, Advocate Thuli Madonsela; PWC Senior Partner for Africa, Suresh Kana; the Institute of Director’s Executive for the Centre of Corporate Governance, Parmi Natesan; Brand South Africa chairman, Chichi Maponya and chairman and non-executive director of companies, Dr Len Konar. Good governance is a little like health: you don’t realise how important it is until you lose it, said Bruce Whitfield, the host of the panel discussion as he opened the session. Increased pressure on earnings and a tough economic climate has seen many businesses resort to short term reporting – and short term benefits, which can ultimately lead to long term damage. “It’s hard to build up trust with stakeholders once you’ve lost it,” reminded Kana, adding that short cuts are not a sustainable solution and that boards have an important role to play in ensuring that a company’s reputation is maintained. “It takes 20 years to build a corporate reputation – but just five minutes to ruin it, which is why it’s so important for businesses to take corporate governance seriously,” said Konar. He said that corporate governance principles – particularly in the public sector – were not well applied which was why it is so critically important that all organisations have a credible, representative and skilled board in place. Boards have a particularly important role to play by ensuring that organisations adhere to the principles of good governance. The Minister of Public Enterprises is well aware of the need to ensure that boards in the public sector are made up of individuals with the right skills and that conflict of interest is avoided, revealed Madonsela. Not only do board members need to set the tone and demand delivery from executives, but they should also have sufficient industry knowledge to advise their executive and management teams, agreed the panel. “Governance applies to all entities, irrespective of whether they are public or private,” pointed out Natesan, adding that the Institute of Directors has guidelines in place to assist companies implement better governance. She said that as a result of an increased focus on independence, many directors don’t have sufficient industry knowledge to be able to adequately advise either the board or management teams. Madonsela agreed that South African companies are struggling to convince global investors that South Africa is a good investment destination. “We know we’re still a viable investment destination and until very recently one of our areas of pride was that the rule of law was paramount.” However, she added that the recent diplomatic crisis caused by government’s failure to stop Sudanese president Omar Al-Bashir from leaving the country despite an interim court order barring him from leaving, would raise questions about the rule of law amongst investors. South Africa, she said, would now have to work hard to ensure it did not appear to be eroding its reputation as a country which abided by the rule of law. The panel agreed that South Africa needs to acknowledge its weaknesses rather than deny them. Transparency is required in everything from the country’s cashflow situation to running a due diligence on Eskom. “We need the truth and we need credible, seasoned boards at the helm of public entities,” insisted Konar. Estimations indicate that there are currently as many as 830 000 unoccupied positions requiring high-skilled workers across a range of occupations in South Africa. “How do we create leadership that shares their talent and avoid some of the epic leadership failures from our recent past,” asked host, Iman Rapetti of her panel including Johnson JJ Njeke, chairman of MMI Holdings; Professor Adam Habib, vice-chancellor and principal of Wits University; Gill Connellan, chairperson of the Association for Skills Development South Africa; Sdumo Dlamini, president of Cosatu; and Glen Nwaila, Geology Superintendant at Sibanye Gold. “We need to move away from the rhetoric, add a healthy dose of pragmatism, a goal and a plan of how we’re going to get around the obstacles around leadership and talent management,” suggested Habib. The problem, said Njeke, is that too many organisations parachute people into positions they’re not ready for, instead of nurturing them. Individual development plans are one of the mechanisms many corporates use to enable employee growth but as Nwaila pointed out, they often end up being little more than pieces of paper. “Development plans need to be used for the right reasons rather than just compliance purposes,” he said, adding that all companies have the ability to attract the necessary skills. Dlamini noted that there is a great deal of talent coming from the SME sector which could ultimately create a larger base of taxpaying South Africans. The panel cited a number of South African leaders they admire, including the founders of First Rand (Njeke); Trevor Manuel (Connellan); and the leaders of Sibanye Gold and Capitec Bank (Nwaila). “Different organisations require different types of leaders – too often we think that a leader has to meet certain criteria but ultimately it depends on where the organisation is in terms of its development,” pointed out Habib, adding that it is leaders who go against the grain and who have a plan that are often successful. President Zuma came in for robust criticism from some of the panellists. “One of the attributes of a successful leader is to have a good value system in place and an image that young people can aspire to,” asserted Njeke. Dlamini, however, had a different view, arguing that nobody had the right to undermine the voice of the majority. While Zuma has been under attack from the first day he took office, he was still around years later, making him a good leader, he said. “The problem within government currently is that there is a culture of protectionism whereas we need a culture of humble leaders who eschew ego,” added Connellan. The panel was divided on what qualities constitute a good leader mentioning, amongst others, characteristics such as decisiveness, humility and consistency. “Different organisations require different types of leaders – too often we think that a leader has to meet certain criteria but ultimately it depends on where the organisation is in terms of its development,” pointed out Habib. Habib pointed out that racialised networks continue to challenge people to connect to opportunities. We need to learn how to break out of our traditional networks and make linkages with other networks. There are numerous challenges around infrastructural development including speed of delivery, job creation and the spectre of corruption. Infrastructure development is high on the government agenda based on the need to achieve real economic growth. Hosting this session was Nikiwe Bikitsha which included panellists, Chris Yelland, MD of EE Publishing; Sisa Njikelana, chairperson of the SA Independent Power Producers Association; Lungelo Gumede, co-founder of Headboy Industries; and Adre Smit, consultant senior policy advisor at ASISA. Energy is a critical issue in any conversation around infrastructural development and Njikelana admitted that there was a huge opportunity for independent power producers who are predicted to play a significant role in the country’s future generating capacity. He suggested that government should focus less on being an implementer and more on being a facilitator citing the renewable energy programme – a programme facilitated by government – as being a great success. Gumede said he could almost forgive government for its poor track record in terms of execution as this was the first time such a huge infrastructural reform programme was being implemented. However, he argued that the learning curve is just too long. “We have to learn how to learn much faster,” he insisted. The panel concluded by saying that the National Development Plan is a good one but that it needs execution to get projects up and running. “We need more partnerships and more engagement,” said Smit. Furthermore, government must not be overly optimistic and needs to be honest and transparent about its shortcomings, said Gumede. Njikelana concluded by saying there were opportunities for multiple ownership of projects but that he blamed those with the political will who failed to take ownership of infrastructural projects. Economic growth relies on job creation. The development of smaller businesses is key to solving many of South Africa’s economic woes. But to achieve that we need an enabling environment, one that minimises red tape and legislation, encourages a culture of savings, and has a well-developed venture capital industry, said Andile Khumalo, host of the final panel discussion at The Directors Event. Panellists included Sanisha Packirisamy, an economist from Momentum Asset Management; Ian Fuhr, CEO of Sorbet; Jabu Mabuza, chairman of Telkom; and Leon Campher, CEO of ASISA. Packirisamy said that in order to create the nine million jobs required by the NDP, significantly more economic activity is required, adding that 90% of these new jobs would need to come from the SME sector. “Revenue is under pressure which means that government is not going to be able to create more jobs,” she revealed, adding that faster economic growth does not necessarily translate to more jobs. “Of critical importance is that we normalise industrial relations – many companies are uncomfortable with the labour situation and stringent labour regulations in South Africa, and as a result are moving offshore. We need structural reforms in this area to make us more competitive. In addition, we need to rein in our labour costs and stick to our expenditure limits. It’s about aiming for quick fixes in a low growth market,” she said. A key element of entrepreneurship is mentorship, maintained Fuhr, adding that the mentorship groundswell needs to become a tidal wave going forward. He outlined the characteristics of an entrepreneur as somebody with intuition (intuitively knowing that something will work even without the empirical evidence); courage (it’s important to always keep your head); perseverance (being in business is about being in it for the long haul); and the ability to serve people (if you serve people you will ultimately make money). “Don’t go into business just to make money,” he asserted. Campher maintained that while South Africa was still in a reasonable shape economically, it was headed in the wrong direction. “We need to agree on the priorities emanating from the NDP plan – energy, infrastructure, education and water – and act on them,” he said. In terms of employment, he argued that many graduates were unable to find jobs because they had inappropriate majors. He pointed out that the country needs more artisans and welders, for example. He suggested deploying retired people with experience into industries where their knowledge could be passed on and where their skills could be utilised. Mabuza argued that business leaders don’t wake up in the morning pondering the challenge of job creation. “We wake up thinking of ways to make money,” he insisted. “A consequence of making money is that we will employ more people. The bottom line is that executives make decisions in the best interests of their organisation. Sometimes we also have to make tough decisions – like retrenching people.” He revealed that Telkom set up a R100 million enterprise development fund to set some retrenched Telkom employees up as entrepreneurs. “This event has been a focused exercise in nation building,” said Nicolaas Kruger, CEO of MMI Holdings Limited. “We need visionary, value-based leadership, a positive attitude, inclusive collaboration and to be prepared to change the way we do things if we want to create a better future for our country. “MMI has been proud to be associated with the inaugural Director’s Event and we trust that these proceedings are only the start of the conversation towards collaboratively charting a new path of economic prosperity for all South Africans,” he concluded. Business, government and NGO leaders gathered for the second annual Sunday Times Top 100 Companies Directors Event in Sandton recently to confront and debate several of the country’s most pressing issues including innovation, healthcare, education and global competitiveness, in an effort to find lasting solutions to these challenges. The Directors Event, dubbed ’SA’s biggest board meeting’, sponsorsed by financial services group MMI Holdings in association with the Institute of Directors Southern Africa, University of Stellenbosch Business School Executive Development and law firm Hogan Lovells. A challenging environment both globally and locally needed to be taken into account, said Nicolaas Kruger, Group CEO at MMI Holdings when he welcomed delegates. He said initiating and participating in meaningful conversation and action to drive nation building through engagement, collaboration, and values-based leadership was important. The only certainty in this day and age is change, he argued, making the solutions put forward at The Directors Event more important than ever before and making action to drive nation-building a necessity. South Africa needs to face and address its issues directly, agreed Wiphold founder and director, Gloria Serobe in her Chairman’s Report. Drastic steps are required to effectively deal with the macro-economic environment and government needs to implement austerity measures. She added that the country needs inclusive growth, driven by partnerships between business and government in targeted sectors such as agriculture, tourism and financial services. South Africa is lagging in terms of its global competitiveness, said Caroline Galvan, Lead Economist and Editor of the World Economic Forum’s Africa Competitiveness Report, when she addressed delegates on South Africa’s competitiveness ranking. Not surprisingly, South Africa performs poorly in terms of its human capital deficit, restrictive labour regulations and inefficient government bureaucracy. Galvan emphasised that the country’s goal to become a knowledge-driven economy is a crucial challenge. Key to improving its competitiveness ranking is to focus on finding solutions where they are most needed. The first panel discussion focused on how innovation could be used to drive the economy forward. Yusuf Randera-Rees, CEO and co-founder of The Awethu Project; Matsi Modise, MD of SiMODiSA; Dr Rethabile Melamu, Acting Chief Director of Sector and Industry Development in the Gauteng Provincial Government; Justin Stanford, co-founding partner of 4Di Capital; and Boris Urban, Professor and Chair in Entrepreneurship of the Lamberti Foundation at Wits Business School. 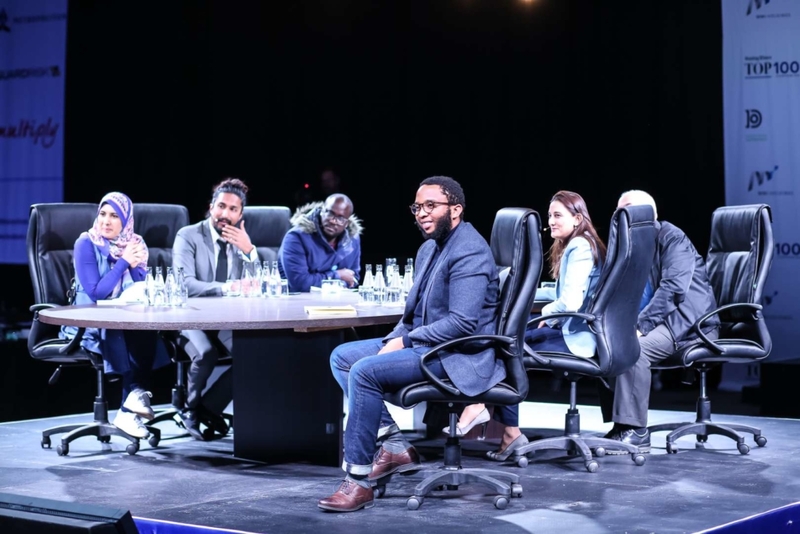 The panel was hosted by Andile Khumalo, Power FM 98.7 business presenter, and it thrashed out the inherent challenges facing entrepreneurship and small businesses in South Africa. Talent in South Africa is fundamentally under-utilised and the current models of entrepreneurship development simply don’t work, said Randera-Rees. Added to this, the entrepreneur ecosystem is fragmented, said Modise, and the country needs to advocate and lobby for more entrepreneurs in business. Government, particularly at a provincial level, has recognised the need to bridge the gap between entrepreneurs, funding and training. The result is the establishment of The Innovation Hub in Pretoria to incubate entrepreneurs with good ideas, said Melamu. The hub provides opportunities for government to partner with the private sector to provide mentorship and support to budding entrepreneurs. Recognising the diversity of entrepreneurs will help to drive innovation but – and this was a consistent theme throughout this discussion – South Africa needs to create an enabling environment which removes as many barriers to doing business as possible. “The sooner we realise that only individuals can create businesses and ensure that legislators provide the right environment with appropriate incentives, the quicker natural entrepreneurs will emerge,” insisted Urban. Entrepreneurship needs to focus on more than just the idea. While a good idea is important, strong execution of that idea is even more important, said Stanford. The second panel focused its discussion on South Africa’s healthcare system which requires a concerted effort on the part of business and government to address its challenges. Hosted by Talk Radio 702 business presenter Bruce Whitfield, this panel comprised Precious Matsoso, Director General at the Department of Health; Christine du Preez, Director of the Hlokomela Clinic, Dylan Garnett, CEO of Metropolitan Health; Prakash Devchand, Chairman and CEO of Lenmed Health; and Simon Hlungwani, President of the Democratic Nursing Organisation of South Africa. Challenges facing the sector include significant staff shortages, existing staff rotating through facilities, the loss of nurses to Middle Eastern countries and a lack of incoming talent. The challenges facing the sector are so enormous it’s hard to know where to begin in addressing them, admitted Garnett. These issues all contribute negatively on both the quality and cost of healthcare. Alarmingly, the panel of experts agreed there was little indication of any improvement in the coming years. “If we don’t rectify the lack of trained nurses and specialists, the healthcare system will suffer a meltdown within the next five years,” predicted Devchand. These concerns, said Hlungwani, are present in both the private and public healthcare systems, but a lack of trust between the public and private sectors is making it harder to find solutions. However, Matsoso believes there are many innovative ideas being used in the private sector and these need to be implemented in the public sector too. A holistic approach is needed, Du Preez added, and public-private partnerships present numerous opportunities. Education joins healthcare as one of the primary challenges facing South Africa today. Putting forward possible solutions to the deepening crisis was Fasiha Hassan, Secretary General of the Wits SRC; Mary Metcalfe, Visiting Adjunct Professor at the Wits School of Governance; Robyn Beere, Director of Inclusive Education South Africa; Dr Felicity Coughlan, Director of Independent Institute of Education; Debbie Schӓfer, Western Cape MEC for Education; and Panyaza Lesufi, Gauteng MEC for Education. Broadcasting news anchor Iman Rappetti led the discussion. Ultimately, pointed out Schӓfer, money determines what interventions can be put in place. The province has implemented numerous programmes including a feeding scheme and additional resources in previously disadvantaged areas where it could. Change, argued Lesufi, doesn’t happen overnight. The task of amalgamating the education that the rich and poor receive will take some time to resolve. Research indicates that 75 to 80% of South African schools are unable to provide the education that children require, said Beere. Even more disheartening than schools that fail to cater to children’s needs, said Coughlan, is the replication of the middle class. “Social capital is virtually impossible to escape, as the middle class replicates itself – meaning that no matter what degree an individual might do or how well they do, unless they behave a certain way, these individuals will be unlikely to get a job,” she said. Structural inequalities of the system mean that poor students are the ones who fail and suffer the most, Hassan pointed out. In order to address these inequalities changes need to be made at a foundation phase level. “Education needs to provide young people with skills that make them adaptable, open thinkers who contribute to society as a whole,” Metcalfe said. Growing the economy to remain competitive globally continues to be a top priority for business and government. In the current volatile economic climate, becoming more competitive has never been as critical. The panel members for this discussion included Caroline Galvan, editor of the Africa Competitiveness Report; Nontombi Marule, Director of Innovation and Technology at the Department of Trade and Industry; Dion Shango, CEO of PwC Southern Africa; Richard Poplak, co-author of Continental Shift: A Journey Through Africa’s Changing Fortunes; and Muhammad Seedat, founder and MD of Smartrac. Broadcaster Bronwyn Nielsen hosted the meeting. A key issue of competitiveness is talent and this is an area where South Africa lags significantly, said Galvan. South Africa needs to focus on three factors going forward, said Marule. With stringent SMME strategies, improving the agility of programmes and implementing long-term planning, South Africa should be able to improve its competitiveness. What holds the country back from moving up the WEF’s index though, argued Poplak, is a lack of leadership – and until that can be resolved, it will impact negatively on the country’s competitiveness. While many of the issues raised at this year’s Directors Event gave little cause for optimism, it’s not all doom and gloom for South Africa, insisted Dion Shango, CEO of PwC Southern Africa. The country has a formidable economy and if we all focus on fixing the right issues without getting distracted, progress can be made. “The country has all the tools it needs to make it work, it’s now a case of putting them into action,” Poplak concluded. Protecting South Africa’s economy, navigating the risks of geopolitical uncertainty and South Africa’s challenges around youth education and employment were the main themes discussed at the third annual Sunday Times Top 100 Companies Directors Event held last week in Sandton. The event was brought to you by MMI Holdings, in association with the IoDSA, Hogan Lovells, Johnnie Walker, USB Executive Development, Aluwani Capital Partners and Times Media Events. The event commenced with a welcome from the MC and Head: Group Communication and CSI, Dan Moyane, who pointed out that this time one year ago, the world was a different place – before Brexit and before Donald Trump become the US president, and before political uncertainty in South Africa became the new norm. He was followed by Ron Derby, editor of the Sunday Times Business Times. “We’re in recessionary times, both in terms of the economy and in our government,” he said. He added that South Africa, over the past decade, has seen a collapse in government, and the future of the country must be renegotiated. Nicolaas Kruger, Group CEO of MMI Holdings Limited discussed the tough environment facing South Africans, saying that the country’s problems need to be acknowledged before solutions can be found. He said South Africans have more in common than not, and that we should face our challenges together. Recapping last year’s Director’s Event, Jeremy Maggs, eNCA news anchor and contributor for Financial Mail, recalled the four key themes that were covered in 2016: South Africa’s lag in global competitiveness; the need to build an enabling environment for small businesses and entrepreneurs; the healthcare sector facing a crisis; and the declining standards of education. Fast forward 12 months later and South Africa faces the negative impacts of political instability and its first economic downgrades. As a result, there has been little to no improvement, and in many areas a backward slide in terms of each of the four themes highlighted at last year’s event. South Africa’s constitution is what has made democracy a success, said Bonang Mohale, Chairman of Shell SA and the Deputy Chairman of Business Leadership South Africa (BLSA), at what has been dubbed South Africa’s biggest board meeting. The constitution has been the line that separates the country’s best from its worst, good from evil, right from wrong and freedom of speech from hate speech. However, both the constitution and South Africa’s democratic values are at risk and under attack, he said, adding the country has lost credibility in the eyes of the world. The country’s tipping point, he said, is corruption and will be what determines whether it operates according to state capture, or as a democracy which serves all its citizens. Our state entities, he added, have to work well, or we will lose everything. It is the responsibility of businesses in South Africa to protect its reputation and to fight against what he termed “state capture becoming corporate capture”, where common thieves masquerade as business people, destroying rather than creating value. BLSA has developed the ‘State of Integrity Six Pack’, a series of six guidelines which could reverse the vicious cycle towards the downward trajectory that South Africa finds itself on. The first of the six points is to launch a judicial enquiry into state capture. Next, Mohale said the nuclear programme must be shelved; the public sector must be professionalised and depoliticised; best practice procedures must be adapted by the state; and state entities including the judiciary, police, NPA and Hawks must have new leadership and become independent of political influence. Finally, the funding of political parties must be transparent. Business is the answer to South Africa’s problems and not the enemy as it is currently being portrayed, Mohale concluded. Mcebisi Jonas, the former Deputy Minister of Finance delivered the event’s keynote address during which he presented a SWOT analysis of South Africa. The South African economy is in a period of low growth and has entered a recession, he pointed out, even though mining and agriculture have shown growth. In the case of mining, this growth is a result of global economic growth while agriculture’s recovery is a result of the end of the drought rather than an economic recovery. The trade sector has contracted by 5.9 percent and people are spending less on goods and services such as food, clothing, restaurants and hotels. There is less money in circulation, said Jonas and the low growth is not cyclical, but structural, with the economy growing by just one percent since 1990, whilst the whole of emerging Asia has grown by seven percent over the same period. Despite having the necessary infrastructure, he said South Africa’s poor growth was the result of an over-dependence on unreliable sources of foreign investment, resulting in a greater susceptibility to global market shocks. From a structural point of view, said Jonas, South Africa does not invest in sufficient fixed capital – which forms just 18 percent of the GDP, in comparison to China’s 37 percent of GDP. Foreign investors are choosing to invest in other developing markets rather than South Africa as a result of policy uncertainty which is damaging the mining industry and causing widespread social and political instability. Simple asset redistribution will only increase unemployment and inequality, he argued, in much the same way as BEE policies have made only a handful of black business people wealthy. “We need to have a different conversation about how to create real economic participation for all,” he said, adding this would mean more incubation programmes for black entrepreneurs, and the creation of jobs for the low income, low skilled section of the population. Government’s abilities to affect change are constrained by the deep levels of state capture and corruption within the system, he said, adding that corruption in state owned enterprises had significantly raised the cost of utilities. “The money we use to sustain our inefficiencies could be better used elsewhere,” he said. A priority was to ensure that South Africa rid itself of corruption, starting with better management of the fiscus, insisted Jonas. “It makes no sense to focus less on growing the economy and more on public spending,” he added. Jonas also said South Africa’s recent downgrade to junk status posed a major challenge and needed to be reversed. Growing populism happens when low levels of trust exist, he said, adding that the country needed to resist the populist rhetoric of calls to destroy ‘white monopoly capital’. This, he said, divides South Africans and puts business into the role of the enemy. Populism, said Jonas, denies risks and takes the focus off the issues which need to be addressed, appealing to desperate politicians. He said South Africa could find itself on a path to economic destruction, similar to what has occurred in Venezuela and Zimbabwe. On the upside, he said the South African constitution was a strength and is what differentiates the country from others like Zimbabwe, and safeguards it from absolute collapse. Other factors in its favour include an extensive infrastructure and a sophisticated business sector. Jonas said a diversified economy is the answer to many of South Africa’s problems, together with expanded trade into the rest of Africa. Protecting South Africa’s economy and finding short-term solutions for long-term goals was the topic of the first panel discussion. Panellists included Mohale Ralebitso, founder and CEO of Itataise Investments; Mpho Sedibe, Managing Director of MOPSY Strategic Advisors; Dr Iraj Abedian, Chairman and Chief Executive of Pan African Investment and Research; Lungisa Fuzile, the former Director General of the Department of National Treasury; and Sibusiso Mabuza, Chief Executive Officer of Aluwani Capital Partners. A functioning government depends on existing businesses to be able to make money legitimately, said Fuzile. The priority, he said, should be about expanding existing businesses and supporting the establishment of new businesses. High unemployment levels, he continued, reflect the fact that there are just not enough jobs around. Those impacted most detrimentally by a lack of jobs are the youth. A growing economy would ensure job creation. One of the biggest impediments to solving the unemployment crisis, said Abedian, is a lack of economic literacy, adding that people need to be economically literate in order to understand what the engines of job creation are. He said the conversation needed to move beyond slogans such as “white monopoly capital” and “radical economic transformation” in order to deal with the real issues. Black economic empowerment (BEE) has not been done properly, said Sedibe, with the result that the value chain has not been enhanced, and BEE has not created jobs. “While people are not as economically literate as we would like, they’re also not idiots. They’re experiencing high levels of frustration and this is creating social instability,” she said. BEE is not the problem, insisted Fuzile, but it is how we are going about it and the fact that we have allowed some people to take advantage of it. BEE should not only be benefiting a select few, he cautioned. We need a Truth and Reconciliation Committee to establish how South Africa got to this point, suggested Ralebitso. No sooner had we ushered apartheid out than we got locked into a new – equally damaging status quo and we’ve continued to make the same mistakes for the past 20 years. “Many of the issues we face haven’t changed. We should not have needed BEE to protect the economy.” Going forward, he said, we need to protect and grow our economy. We need co-operation, and open and honest dialogue. Criminality needs to be recognised for what it is. South Africa needs to get its investment grade rating back, while policy uncertainty and barriers to growth need to be removed. The public and private sector need to work together to ensure sustainable growth takes place, said Mabuza. We waited too long to turn the situation around and business leaders were only taking a stand now that it was hurting their pockets. Members of the audience made a number of observations: South Africa was producing people who were not interested in the greater good, but only in self-enrichment and how do we ensure accountability going forward from elected leadership. In their concluding statements, Mabuza said business had a crucial role to play in terms of ensuring that meaningful transformation took place. Ralebitso said business needed to be held more accountable, and Abedian pointed out that businesses needed to be future fit if they hoped to be sustainable and competitive. The second panel discussion focused on navigating the risks around geopolitical uncertainty. Panellists included Dr Johan van Zyl, co-founder of African Rainbow Capital; Dr Kingsley Makhubela, CEO of Brand South Africa; Innocent Dutiro, CEO: Africa & Asia of MMI Holdings Limited; and Karima Brown, Independent Political Analyst. Dutiro pointed out that living in a global economy it’s important that we understand our value. Globalisation, he added, has introduced certain complexities and technology has made it harder to hide. Given this new connected world, protectionism does not work. High unemployment was coupled with a skills shortage because graduates don’t have appropriate skills to meet the needs of businesses. The main driver of geopolitical risk is inequality, said Brown, adding that business and industry was partly responsible: in their quest to keep costs down they were deliberately not employing older people with skills because they were more expensive than younger employees. “This is a spectacular fail on the part of business leadership,” she said. One of the problems facing South Africa is the trade challenge: our largest trading partners are located in other continents. A member of the audience pointed out that it was the responsibility of employers to upskill employees and make them more marketable. South Africa needs to think more broadly about the skills required for the Fourth Industrial Revolution, said Makhubela, and how the country could compete with the rest of the world. Furthermore, he said we need to figure out how to leapfrog developed countries in terms of disruptive technologies. We need to choose our battles given our available resources, said Van Zyl. “We have a competitive advantage in Africa, now we just need to compete better on the continent.” Taking the geopolitical risks and uncertainty in the rest of the world into account – US uncertainty around Trump; Brexit; a nervous Europe; and disarray in emerging markets – South Africa is not that badly off, he maintained. In the broader context South Africa is not alone and we have something positive to sell. The best way to mitigate risk right now is to decide on the tough conversations that are required between all parties, said Brown. We need to go back to the table and rebuild trust in order to find a compromise that everybody can agree on. There are ways to navigate risks and uncertainty, agreed the panel. Van Zyl said instead of focusing on the negatives, the country has great people, a free and powerful press, and strong financial services intuitions in its favour. We need to fix our economy or the money will disappear, he warned. Ultimately, it’s about dealing with an imperfect situation to the best of our collective ability. The final panel discussion focused on youth education and employment and how to bridge the gap in digital times. The panel consisted of Barrie Bramley, partner at Calidascope; Debbie Goodman-Bhyat, CEO at Jack Hammer Executive Headhunters; Maryana Iskander, CEO at Harambee Youth Employment Accelerator; Sizwe Nxasana, chairman at NSFAS and Sifiso Learning Group; Hlomela Bucwa, youth activist and former SRC president at Nelson Mandela Metropolitan University; and Gwebinkundla Qonde, director general at the Department of Higher Education. The panel agreed that the country’s education system did not adequately prepare school leavers or graduates for the world of work. In a slow economy, said Nxasana, even those with skills are not guaranteed of a job. He agreed the education system was lacking and said it needed to be revised to address the skills shortages. A different attitude towards risk taking, entrepreneurship and a mindset that created jobs rather than looked for jobs needs to be created, he said. Most people find jobs through their networks, pointed out Iskander. Job seekers without networks often find it hard to find employment. “Sometimes, all they need is information,” she pointed out. Referring to a survey conducted in association with the University of Johannesburg, she said it costs the average young person R938 a month to look for a job – primarily for transport and data costs. Adding to the challenge for many job seekers is the fact that many employers don’t think matric or a degree is a good predictor of performance so put additional barriers in place like numeracy tests – even for jobs that don’t require numeracy skills. The Fourth Industrial Revolution would shrink the job pool even further, said Goodman-Bhyat. “Business leaders are trying to ensure their survival and will be replacing every kind of repetitive job with technology. This will impact on internships and learnerships. Educational institutions are moving far too slowly in terms of adapting the skills they teach and cultivating creativity and entrepreneurialism.” Youth who don’t study beyond matric are ill-equipped for the job market, said Nxasana, adding that they should be leaving school better prepared for the fourth industrial revolution. The academic component of education need to be overhauled to include higher order thinking skills and technical education needs to be strengthened, he said. Qonde agreed that community training colleges need to be teaching marketable skills rather than only basic reading and writing skills. “We need less of the rhetoric and work on what works,” he said. A member of the audience suggested that teachers should be incentivised to be more competitive and effective. Qonde agreed that teachers should be held accountable for the work they do. Partnerships are the only way to achieve large scale solutions, pointed out Iskander, adding that for many young people it is only by working that they can acquire further education. The youth need to prepare themselves for a lack of employment structure as they will increasingly be their own employers.” Gender inequality continues to be an issue. While more than half of university graduates are women, revealed Nxasana, the corporate environment continues to be male dominated. A member of the audience pointed out the dire shortage of artisans and said the quality of artisan skills coming out of colleges was inadequate. In response, his company was training its own artisans. “The protection of South Africa’s economy, geopolitics and youth education, are exactly the types of conversations needed to better equip us as directors to redefine and realign our own company strategies to focus on improving South Africa’s future,” said Brigitte Schwartz, marketing director at USB Executive Development (USB-ED). “The well-attended Directors Event 2017 again provided a platform for open and frank discussions on critical aspects affecting the South African economy,” said Partner and head of mining at Hogan Lovells, Warren Beech. 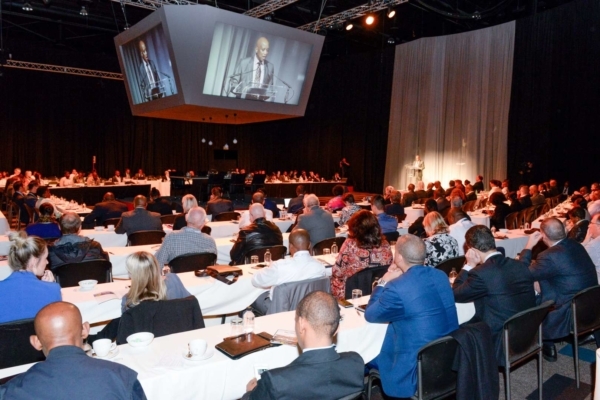 “The opening sessions succinctly identified the enormous challenges facing all South Africans generally, and the specific threats to the South African business sector. That said, South Africans are resilient and provided that the business sector stands up, South Africa will be able to address the various challenges, and get through this turbulent and extremely unsettling period”. The overriding theme of this year’s The Directors Event, ‘SA’s biggest board meeting’ held in Sandton, Johannesburg on 8 June, was the response by business to President Cyril Ramaphosa’s ‘Thuma Mina’ (Send Me) call. This was the fourth edition of the event which has become an annual platform for dialogue and debate between keynote speakers, panellists and delegates on some of the challenges facing the country. This year, the spotlight was on technology solutions to grow a more inclusive economy, solutions to alleviate youth unemployment and promote entrepreneurialism as well as the impact of politics on the economy. There is no doubt that President Ramaphosa has inspired a new sense of optimism. This optimism is in large part the result of a visible effort to undo the previous administration’s patronage network. President Ramaphosa’s overhaul of the boards of state owned enterprises (SOEs) to ensure good governance is restored to these critical institutions as well as his determination to attract investment back into the country to grow the economy is the first step towards restoring faith in government. This past year was always going to be a watershed year for SA as the impact of former President Zuma’s poorly managed presidency began to be felt more strongly, said Sunday Times Business Times editor, Ron Derby. It now needed to get back to work and take advantage of a window of opportunity to effect a turnaround. Key will be how the government addresses the challenges facing the country, insisted Derby, including fiscal stability in SOEs; policy certainty around the mining charter; economic growth; and policy solutions for the health and education sectors. However, as several speakers attested – including Minister of Finance, Nhlanhla Nene, Business Leadership South Africa (BLSA) chairman, Dr Jabu Mabuza and newly appointed deputy CEO of MMI Holdings Limited, Jeanette Marais – government cannot hope to ignite economic growth and alleviate unemployment without the aid of the private sector. Having emerged from a period where South Africans had lost confidence in the leadership of the country, with scarce resources being mismanaged, misallocated and misappropriated; low economic growth marked by persistently high unemployment, and low levels of foreign direct investment, it is time for all South Africans to heed President Ramaphosa’s call and lend a hand. As such, said Marais, South Africans must start to act in a way that will build confidence in the country bearing in mind that business can only prosper in a prosperous society. In many ways, she pointed out, the economy runs on confidence as it is confidence that encourages consumers to make purchases, convinces investors to place their money in the country, encourages growth and creates jobs. Marais argues that it’s as much the responsibility of the private sector to pitch in and ensure that the new dawn is not a false dawn, as it is the responsibility of the public sector. Just as government has to address its challenges, so too must the private sector address and fight corruption, fraud and collusion. Inclusive growth, she pointed out, can only be achieved if the country as a whole, comes together to find practical ways to create jobs, drive investment and speed up real transformation. The president’s task to rebuild the economy is both formidable and enormous, agreed Mabuza. He implored every business leader attending the conference to think carefully about what they could do to drive economic growth and transformation. In addition, he called for business and government to work together on scalable projects and to come up with practical and workable solutions to address the lack of capacity in the public sector. Businesses, reminded Mabuza, don’t operate in isolation and it is everybody’s duty to ensure a more equitable society because equitable societies do better in the long run in almost every measure. Without a sustained increase in economic growth, unemployment cannot be addressed. Government will play its part to deliver on reforms, strengthen good governance at SOEs and maintain a stable fiscus, said Nene, as well as address structural challenges such as high costs around broadband, transportation and regulation to make it easier for small firms to enter the market and compete against large players. A key element within the South African economy – and one of the major themes discussed throughout the conference – involves addressing unemployment, particularly among the youth, to allow more people to play a meaningful role in the formal economy. The Youth Employment Service (YES) initiative which launched earlier this year with the aim of providing more than one million young South Africans between the ages of 18 and 35 with paid work experience over the next three years is a positive first step, but on its own is not enough. Speakers from both the public and private sectors acknowledged that addressing SA’s high rate of unemployment is an urgent imperative. Job creation, said Marais, requires multiple approaches from all sectors of society, particularly when one considers recent research from Accenture which revealed that 35% of all jobs in SA are currently at risk of total automation and that machines can perform three quarters of the activities that make up these white and blue-collar jobs. Addressing the country’s unemployment problem, said Dr Tashmia Ismail-Saville, CEO of YES, will require creativity and disruption, and the creation of new economic spaces to literally invent jobs. Rather than focusing on high growth unicorn type model to provide employment she suggested focusing instead on growing the number of SMEs that each employ a small number of people because ultimately, the majority of jobs, should come from this sector. To support these small and medium sized enterprises a suggestion was made to develop a database of SMEs and their products or services on offer. In addition to youth unemployment there is a growing adult unemployment problem which requires interventions to be put in place in order to reskill people, said Professor Barry Dwolatzky, Director of the Jo’burg Centre for Software Engineering at Wits University. A university degree is no longer a guarantee of a job and while he conceded that there is much wrong with universities including the fact that they compete for scarce resources and the best students, and operate in silos, he argued that where they succeed is in creating deep thinkers who are capable of delivering solutions. There is little doubt that there is a need for both current and future workforces to be prepared to compete in the future digital workspace. As more routine jobs become redundant we need cool headed dialogue on this issue, insisted Mabuza, referencing the fact that coal workers had marched to halt renewable energy projects fearing that their jobs would be jeopardised. In addition to the need to reskill the existing labour force, SA’s poor educational outcomes and lack of sufficiently trained teachers were frequently referenced during the course of the conference. SA’s track record on educating the future generation is woeful, said Marais, referring to alarming statistics proving her point including the fact that only six percent of matriculants this year will achieve a reasonable mathematics mark of 60% while only half will pass matric. It’s no surprise that 75% of the country’s unemployed are the youth given the 80% illiteracy rate for Grade 4 learners. Perhaps not unsurprisingly, most unemployed youth don’t have a matric certificate, revealed Ismail-Saville and are educationally, culturally and geographically distant from opportunities given SA’s industrial concentration. Without a matric certificate they are automatically excluded from any bursary schemes, with the result that the majority are thus constrained from making a meaningful contribution to the formal economy. The recent World Bank Systematic Country Diagnostic for South Africa identifies a focus on children and young adults as critical, said Marais. She suggested a holistic approach that will transform the entire education system, with an emphasis on literacy and numeracy, as well as the upskilling of teachers, focusing on these factors from the foundation phase and not solely at matric level. SA cannot keep supplying commercial solutions to its educational crisis, argued Barbara Mallinson, founder and CEO of Obami, given that brick and mortar structures are expensive and that we don’t have enough suitably qualified teachers. Technology has the ability to address many of these challenges through online learning platforms and qualitative facilitators which will allow both SA and the continent to scale educational and skills development solutions. Education and unemployment are two of the most crucial areas in which South Africans must come together to build confidence, argued Marais, adding that the greatest asset of a country is not its land or infrastructure, but rather its people. Investing in people and building human capital is the best investment a country can make, she insisted. Technology, agreed many of the speakers at the 2018 The Directors Event, has the potential to unlock economic growth but, perhaps even more importantly, to allow for inclusive growth through the deployment of large scale infrastructure advancements that place ICT at their core. It has the potential to deliver transformative solutions to unemployment, for example because it cuts across multiple barriers and allows a technically sound enterprise to indirectly have a spider effect on job creation, said Zachariah George, co-founder and chief investment officer of Startupbootcamp Africa. During his keynote address, Nene revealed that reducing costs in the ICT sector by half could increase GDP growth by 0.3 percentage points per year and create 200 000 jobs over the next decade. All indications are that government is prepared to play its part. Minister of Science and Technology, Mmamoloko Kubayi-Ngubane acknowledged that government needs to fast-track the migration to digital in order to free up spectrum. A lack of spectrum has been blamed by network operators for the high costs of data. However, government is limited in what it can achieve given its constrained fiscus. Rolling out ICT infrastructure is an example of one area where government will not be investing and where private sector investment has played a significant role. Under discussion was the fact that private sector organisations have tended to prioritise rolling out ICT infrastructure in urban rather than rural areas. This has resulted in a digital divide between urban and rural areas which threatens to further exacerbate the class divide. There was widespread recognition amongst speakers that priority needs to be given to connecting low income communities as well as lowering the cost of communication and connectivity, given that connectivity provides a myriad of social benefits. While the argument was tendered that network providers are raking in huge profits, business leaders countered this vehemently, arguing that input costs currently are unnecessarily high as a result of a lack of spectrum. SA does have the ability to deliver world class technologies and these technologies can deliver economic opportunities and create employment, as evidenced by the success of the drone technology sector, as just one example. SA, it was pointed out, is currently at the forefront of drone regulations globally. Another theme that emerged from the conference was the need for policy certainty. Investors require policy certainty now more than ever, and SA’s policy responses are inadequate, particularly around the mining charter, said Derby. And these inadequate policy responses are dissuading much needed foreign investors, insisted Peter Major, Director Mining at Cadiz Corporate Solutions. Mabuza agreed on the need for policy certainty, revealing that one of the challenges faced by Telkom recently was a decision of which business entity to buy fibre from. One of the contenders employed 600 people but Telkom would get low empowerment credits if it bought from them. Another contender involved a black businesswoman who imports fibre from China – and employs no-one – but the company would get full points if it procured from them. These kinds of issues, said Mabuza, needed to be addressed. One of the failings of the ruling party, said economic strategist, Thabi Leoka, was the ANC’s tendency to formulate policy without committing to implementing it. 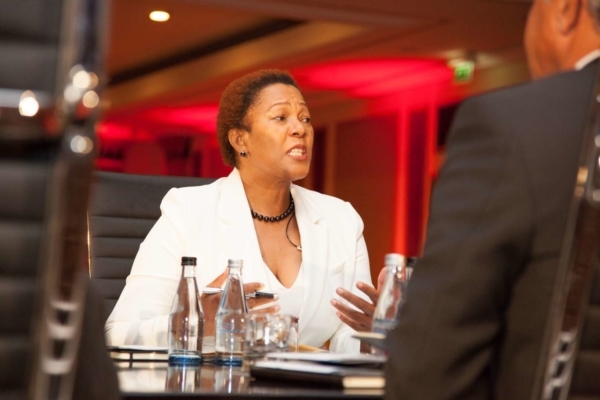 Business Leadership South Africa COO, Busiswe Mavuso, concurred and said she was not convinced that the current administration understood the urgency of the situation and was putting any meaningful reforms on hold until after the 2019 elections, prioritising political decision making over what was best for SA and its economy. During a panel discussion on politics and the economy, it was agreed that coming in midterm for President Ramaphosa is a challenge given that he does not have sufficient support from within his own party. Political analyst and author, Ralph Mathekga, urged the president to ‘avoid unnecessary adventures’ and rather just ‘close the tap at Transnet’ and ‘plug the holes’ in the run-up to the 2019 elections. Conceding that the country had been through a challenging phase, Enoch Godongwana, chairperson of the ANC’s sub-committee on Economic Transformation, said government’s priority now was to rebuild trust in the ruling party, strengthen the balance sheet of SEOs and end corruption in order to rebuild the economy and take the country forward. In addition, it appears as if there is still a significant trust deficit between the public and private sectors and a perception amongst government that if a solution is privately supplied it is not a quality offering, revealed Mallinson. Mallinson founded Obami, a digital-solutions teaching company which offered its online teaching and learning solution to government for free – and had been turned down. This trust deficit manifests in other ways too. In the ICT space, revealed SEACOM CEO, Suveer Ramdhani, government – in the form of regulator ICASA – and business have been at a stalemate for far too long. A frequent call from business leaders at this year’s conference was that government, for its part, needs to understand the impact and consequences of decisions made from a political perspective that restrict businesses from being globally competitive. The disconnect needs to be addressed and both the public and private sector need to collaborate in order to find workable and sustainable solutions which promote inclusive growth. Another theme emanating from the 2018 event was the fact that businesses are under increasing pressure to demonstrate their value to society. This trend is not unique to SA, pointed out Mabuza, explaining that every business’s license to operate is dependent on its ability to demonstrate its value. This is why, he said, SA businesses need to give due consideration to the creation of social value and find ways to work together to get both the country’s economy and society on a sustainable trajectory. He implored business leaders to provide SA with the solutions it requires to take it forward. Delegates at the conference were encouraged to play a part in creating the country they want to see, by contributing to skills education and as Mabuza so succinctly put it, to consider bursaries as an advance payment for more stable future. The Tiso Blackstar Group, owners of Sunday Times, Business Day and Financial Mail, together with headline sponsor MMI Holdings heeded this call and together have contributed R450 000 as well as a percentage of ticket sales from The Directors Event to the YES initiative. The risks facing SA remain significant as indicated by Statistics SA’s announcement that real GDP fell by 2.2% in the first quarter of 2018. These results, said Nene, will mean a downward revision of optimistic predictions for growth in 2018. The message is clear: while SA may have been dragged back from the precipice, there is no room for complacency. Both government and business need to heed the calls made at The Directors Event to show leadership and to ensure the public and private sector collaborate meaningfully and constructively to find sustainable solutions to SA’s most urgent and pressing challenges. To achieve this, they will have to bridge the distrust that currently divides them. Furthermore, we need less empty talk and more constructive engagement. Government entities need to stop operating in silos and instead work together along with the private sector if SA is to realise President Ramaphosa’s new dawn. The message from this year’s The Directors Event is that if the public and private sector can work together to catalyse investments into the economy, SA will be able to find sustainable solutions to its most pressing challenges and grow the economy. The conference was bought to you by the Sunday Times Top 100 Companies and JSI listed MMI Holdings, in partnership with the Institute of Directors Southern Africa (IoDSA), Mancosa (GSB) and Greymatter & Finch. “The value of an event such as this is that it creates a platform to discuss difficult issues in SA – the fact that it includes public, private and entrepreneurial members with different insights is a boon. Moreover, it provides a rare opportunity to see them interact and air their views. The value of The Directors Event in particular is that it provides insights into what people are doing in the entrepreneurial space in terms of initiatives, ideas and approaches. My clients shared the same view – as bleak as some of the information was, the overall feeling generated was that of hope, enthusiasm and a renewed excitement for South Africa,” said Adriana De Roock, MD, Greymatter & Finch. This May, South Africa heads towards its sixth General Elections in which the ruling party for the next parliamentary term will be determined. With this in mind, and in the context of the President’s State of the Nation Address: analysts are predicting that while the first quarter of 2019 will continue on its slow downward trend, South Africa will likely experience a positive economic turnaround with some of the structural impediments to economic growth becoming unlocked post-election. According to the World Bank, South Africa can expect 1.3% growth in 2019 – a modest, though improved outlook when compared to the Treasury’s 0.7% forecast that was given in October 2018. During his SONA address President Ramaphosa touched on the World Bank ranking, which places South Africa as the 82nd out of 190 high-performing economies. The President further stated that our goal as a country should be to open up the economy for all South Africans, and to enter the Top 50 mark in the next three years. We believe that the upcoming elections will go a long way towards achieving South Africa’s economic goals by way of assuring certainty on key economic policies that will open up markets and encourage foreign investment. We would also like to echo the President’s sentiment that a healthier environment for young South African entrepreneurs and small enterprise is critical in our continued building of a robust economy. The Directors Event calls on thought-leaders in the business and public sector environments to join us for stimulative round-table discussions on critical issues such as improving our labour market; reducing the cost of doing business in SA; promoting healthy competition across all economic sectors; and the development of policies that are designed to create the South Africa that we all deserve. The fourth industrial revolution has been knocking on our door for quite some time with countries such as the US, UK and Sweden pioneering the digitisation of work environments; workforce skills; technological equipment (infrastructure); benefitting each country’s socioeconomic and cultural environments through such development. With South Africa currently housing 75% of the continent’s largest companies it is imperative that we persistently seek to lead the continent towards economic breakthrough by ensuring that we are on par with global competitors when it comes to the digital optimisation of industries across the board. There are many technologies at our disposal that, if used correctly, would make an incredible contribution towards achieving seamless processes and functionalities between systems, customers, company stakeholders and employees in order to create an efficiently connected and inclusive business environment. Taking into account that innovative digital solutions and the optimum harnessing of data to drive sound business decisions, strong continuity campaigns, inclusive growth and effective communication between customers and organisations are currently and largely the only way to ensure success – right now is definitely as good a time as any to bring businesses and public services together to discuss ways in which South Africa can better position itself in becoming a winner in the digital era’s fourth most pivotal evolution. Out of South Africa’s 57,7 million people, more than half (about 29,4 million) are female, and over a third (20,6 million) are young people between 15 to 34 years old; as detailed in a mid-2018 report by Stats SA. When one considers South Africa’s record-high unemployment rates; with our youth being the most affected as they continue to struggle with access education, availability of jobs, and insufficient skills training among other pressures, it becomes clear that a significant portion of the country’s population is in economic distress. For the past four years The Director’s Event – a space for thought-leaders across various industries and arms of government to come together with the common goal of securing a healthy future for all South Africans – the issues of quality education, financial literacy, business skills training, mentorship, and financing opportunities have taken center stage as we have sought to find solutions for the future of our youth and for the country’s socioeconomic development. Let’s talk about ways to improve the employment market and to encourage a thriving environment for micro-business in the era of artificial Intelligence, digital transformation, StartUp ecosystems, private-public sector partnerships and more. Subscribe to our mailing list to ensure you receive the latest information.